Eczema is a bloody pain and we are lucky in that my girl only gets it behind her knees and upwards to her thighs and they are minor small patches. It's not serious but if left untreated it can look a little sore on the creases and she will begin to scratch. We do have the standard 0.5% and 1% steroid cream hydrocortisone for when it does get sore looking and Aveeno cream. We also apply a layer of Zerobase on her legs before bath as a barrier to stop further drying. I am sure it's to do with our weather and hard water in our area which makes it flare up. Strangely during winter we had no problems but soon as it got warm thats when it started to appear. We have also been using milky oat baths soaked in stockings which makes the bath water more creamy and soothing for her skin. 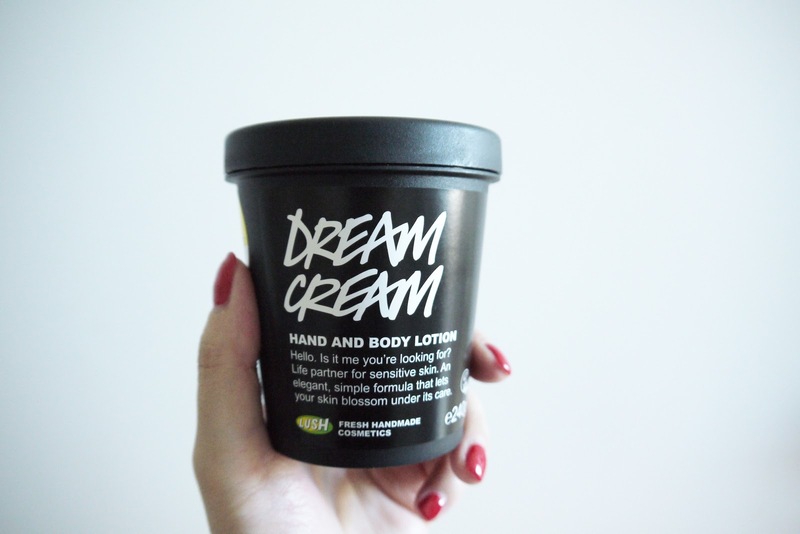 A while back in some baby forum I read Lush Dream Cream and Self Preserving Dream Cream being amazing for eczema. I actually randomly remembered when I popped into lush so I asked for a small sample pot to dry out. After bath we applied the Self Preserving Dream Cream generously all over the legs after bath and completely forgot about it. It wasn't until the next morning when I changed her first nappy I applied it all over her legs and I was completely shocked that it had virtually disappeared and red patches were no longer red. The skin had dried up and shedding!! Just one application made all the difference for us. We have since been using it religiously all over her body and her skin is nice and smooth. I have noticed the Self Preserving version with olive oil works better than the standard dream cream. I was told they are stopping the standard one and moving over to just selling the self preserving version. You do need to apply generiously at every nappy change to keep it under control but I am hoping for us when it gets cold it will go away again. I know a lot of you with babies suffer from eczema so I wanted to share this with you all...who know's it may cure it or at least calm the skin down so it's less sore looking. The other cream I have heard people rave about is Childs Farm body cream. I actually received a sample from NCT Sale last month so we will give that a try soon and see if it's any better.